Frida Engström received her bachelor in opera at the Academy of stage and music at the Gothenburg University in 2011. During her studies she performed the role of Susanna in “Le Nozze di Figaro” at Folkoperan, where she also completed an internship the year before as Erste Verkäuferin inWeill’s “Der Silbersee”. After her graduation, she has sang Papagena at Malmö Opera, First lady / First Boy at Folkoperan (in Stockholm) and Pamina at Gothenburg Opera. 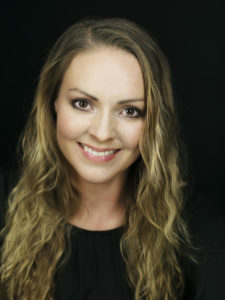 She has also sung Adèle in “Die Fledermaus” at Växjö Concert Hall, a celebrated interpretation of Sara Videbäck in Läckö Castle’s premier of “Det går an”, Rosina in “Il Barbiere di Siviglia” / Countess in “Le nozze di Figaro” / First prisoner in “Fidelio” in Wermland Opera’s version of ” The Trilogy “, as well as a jump-in as Eliza in” My Fair Lady ” at Helsingborg City Theater. In 2016/2017 she made a successful jump-in as Micaëla in “Carmen” at Gothenburg Opera and Daisi Doody / La Garconne in “Aniara” at Malmö opera. In 2017/2018 she’s engaged as Christine in “The Phantom of the Opera” at the Gothenburg Opera.